This ten foot, five hundred plus pound rat was fun to watch being created. 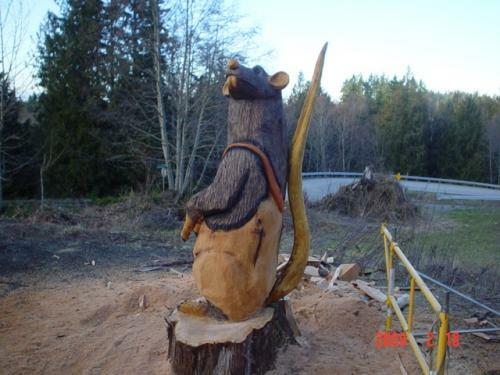 Eric enjoyed the challenge of carving a rat for a gentleman who wanted to put it at the bottom of his driveway. Many people were fascinated as they watched the daily progress. This was Eric's first and largest rat ever carved! 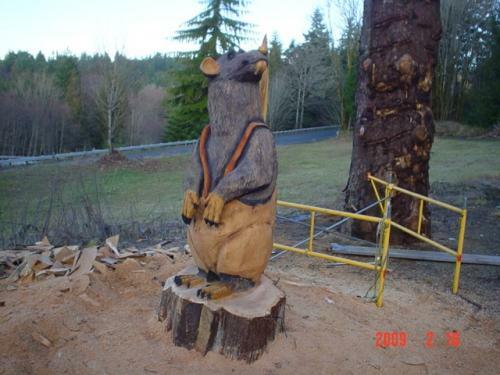 Here is the side view of the large rat chainsaw-carved sculpture.